Open wide... and pray for your life. Middle-aged, middle-income and lapsed Mormon Arthur Percy felt his life lurch from a difficult normality onto the rails of a carnival ride heading somewhere too much like the Twilight Zone for his liking. Perhaps it is more the �Anti-Twilight Zone� that Arthur enters�where vampires, shape shifters and ghouls are not gorgeous or glamorous but genetic parasites from a hideous communal intelligence known as the Hive. Who will save the human race? And what does all this have to do with Dr. Calvin Stewart, Arthur�s new dentist? 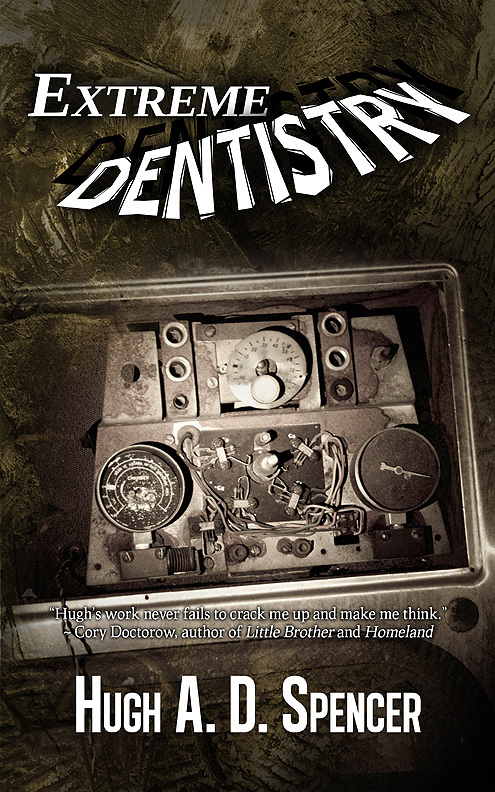 Aurora Award-nominated author Hugh A. D. Spencer weaves a hilarious tale of sarcasm, Mormonism, and oral hygiene that spans the globe. 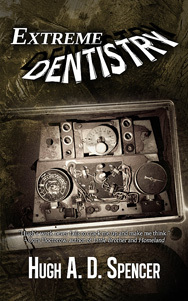 From Singapore to Germany and back to Toronto, Extreme Dentistry explores love and loss, terrible workplaces, babysitting, and those seediest centres of monstrous activity both human and inhuman�shopping malls.